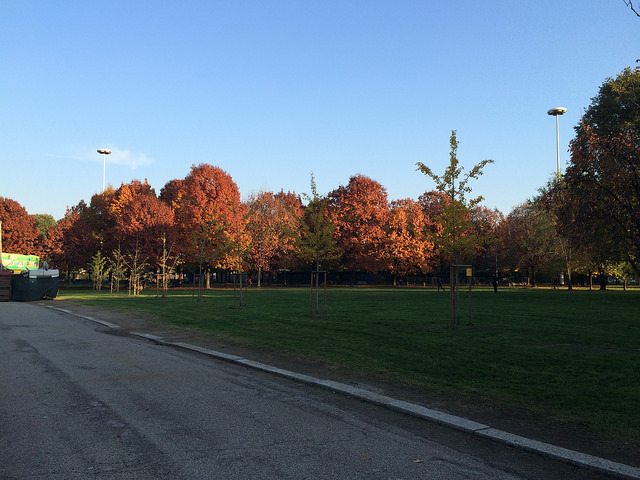 Amidst all the digitization and virtuality of life today, which afflicts us all, and on top for me, a vicious calendar of classes, assignments, workshops, and club activities as part of a full-time MBA, there remains a fundamental novelty of the simple autunno landscape. In a place with visible seasons, the phenomenon is more pronounced, though you can still pinpoint cues in tropical places (like Tampa). Milan’s latitude is roughly equal to that of Maine, the Great Lakes region, and much of the Midwestern United States. Thus, it exhibits much of the same seasonal evolution. Climates are nuanced, however Milan mimics cities like Chicago and New York with periods of high moisture and also dryness, mild falls and springs, and the low but consistent threat of extreme weather (like snow). The Alps are after all, only a 45 minute train ride from central Milano. Apparently there is smog in Milano? Non so. The city is also home to many seasonally-shedding trees, which have large flat leaves in shades of mustard, claret, and rust. Except when the slow drizzle turns leaves into a colorful mush, there is a distinctive crackle on the sidewalks this time of year, a sort of auditory texture, and a special filter to sunlight that is achieved by crisp air and the shorter period of daylight. The most difficult adjustment for me is the evening sunset, which happens in Milan by 4.45-5 each day. If by that point my work of the day is finito, and I’m heading home to relax, fine. Instead, I’m often still at school, working through a group assignment or filming a video for negotiation class. It’s an adjustment, though it’s been coupled with an overarching sense of time whisking by, which is good, I guess. I catch a twitch of basicness whenever I bask in the romantic mood of chillier days, fall colors, and fading sunlight. Isn’t fall oversubscribed as the favorite season? That said, autumn did bring some visitors from Florida, which helped me feel less lost. My childhood friend, back from all the way in pre-school (!! ), Steven Hoffstetter, was in Milano with his girlfriend for her work, at a pharmaceutical conference. We had a leisurely Sunday lunch. Their group of seven or so were on a European tour, between Frankfurt, Milan, Paris, and Amsterdam. I can only imagine what visitors must think about Milan in comparison to more universally appealing places, like the freewheeling indulgence of Amsterdam or quintessential beauty of Paris. Then my parents’ neighbor Karl Lunney and his new wife Isabel visited during their Italian honeymoon, having spent time in Tuscany and Portofino during the ten days prior. Throughout the season I also searched feverishly for a suitable winter coat (or two). 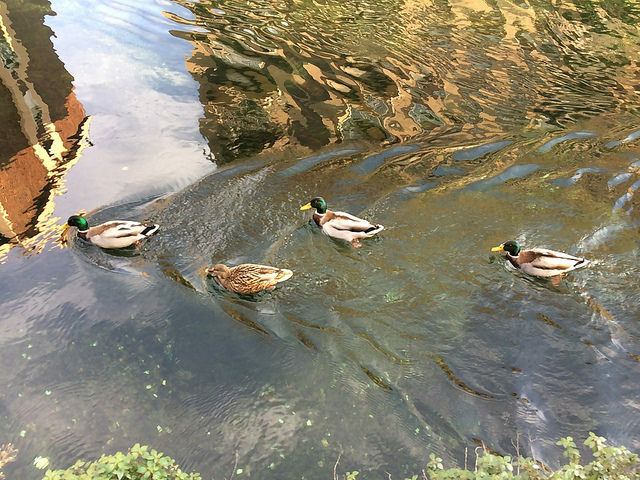 I marveled at the pristine anatre (ducks) in the navigli, and I even caught a performance at Teatro alla Scala, of Giovanna D’Arco, on the under-30 pre-opening night! More backlogged posts coming soon.